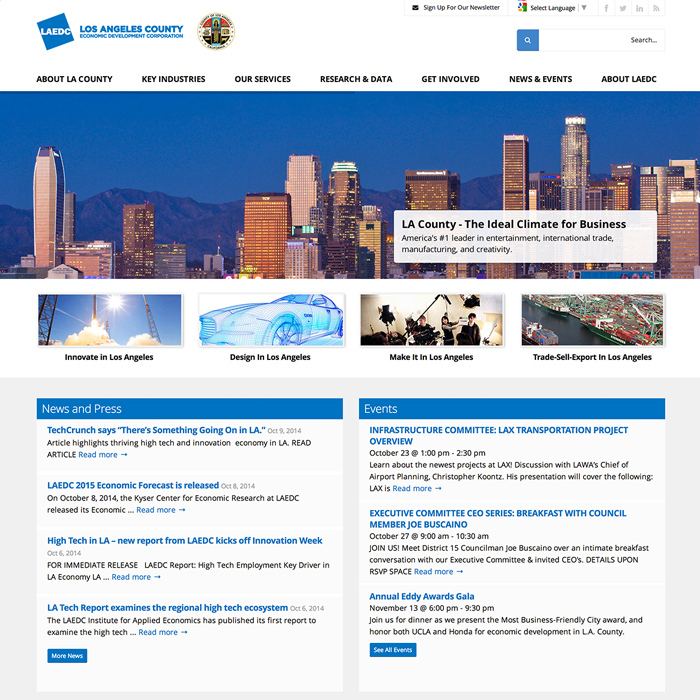 The Los Angeles Economic Development Corporation reached out when they were ready for a new look. They wanted to harness the power of WordPress and responsive web design to upgrade their web presence. 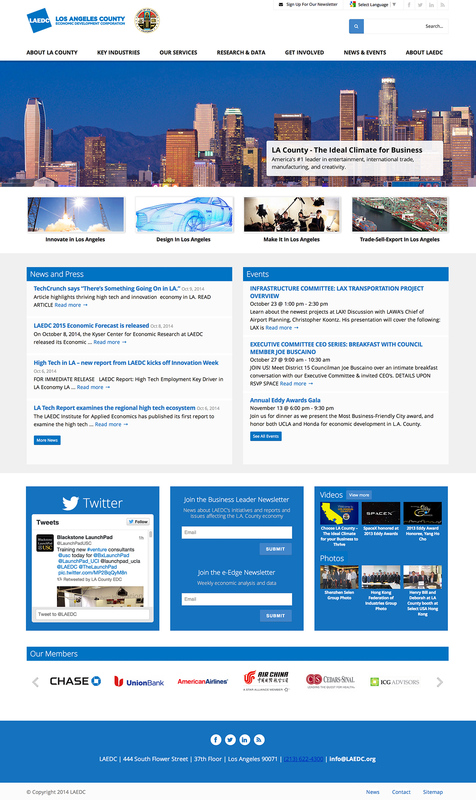 The new website that we created, http://laedc.org, helped to combine multiple initiatives of their organization that previously all had individual websites. Now their staff and visitors have one place to go for all of their needs.